Feeding Fido is one area that responsible dog owners should plan to invest a little extra time and money. 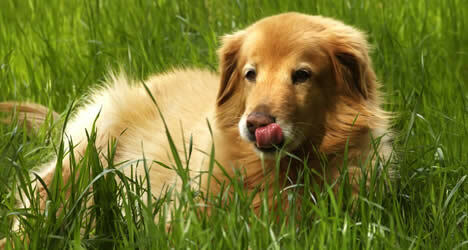 Good quality choices now make for a healthy, happy dog for many years to come. Organic dog food, whose composition is yet to be officially defined or legally standardized, continues to be a popular purchase among canine owners who often report improved health in their dogs as a benefit of using such a diet. We'll start right from the beginning. With discussions about dish selection, bowl location, feeding schedules, food selection, and feeding amounts, we'll squeeze a lot of information into one article. We'll go into greater detail by providing you with pointers on how to choose the most appropriate dog food for your furry friend. Review lists of the various special needs diets that are now readily available on the market and take a glimpse at the numerous unique food items that can now be found in your dog's food. If you're tempted to give your pooch supplements and/or treats, we'll give you some good advice on how to make sure that your choices are the best ones for your dog's specific needs. We'll also discuss the wide array of options that are now at Duke's disposal, some of which old Duke can learn to treat himself to (read the article and you'll understand what we mean by that). While there are many things that your dog would enjoy eating, there are a number of items that your dog should consume only in moderation or not at all. We'll present you with several lists of hazardous common food items that your dog is likely to encounter, some not-so-common food items, and a variety of non-food products that old Fido should be protected from ingesting. Our goal with this set of very important articles is to instill in you the importance of selecting the best food, supplements, and treats for your furbaby. If we manage to do that, we'll be more than pleased and so will old Duke and Fido as they polish the bottom of their food dish.